Any website anywhere can be hacked at any time. When a hacker installs bad links on a site, he does so in an effort to make money by stealing your traffic. Here are some tips to keep an eye out for. 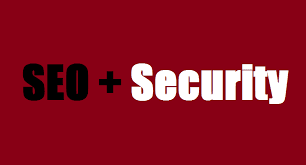 That means you have to regularly check your website for breaches of site security. “If you own a website, you are ultimately the person responsible for the integrity of that website and you have an obligation to periodically check against intruders,”A significant danger to a site, in terms of SEO, is when a hacker injects links into a website. That's can lead to big trouble down the road. We have seen a lot of sites be compromised through plugins. Within the ever-helpful Google Webmaster Tools, site owners can verify ownership of their sites and manage who is authorized to modify their sites. Here, site owners can also monitor their sites’ settings to make sure no unwanted changes have been made. These are just 3 top tips to ponder. In this day and age you must stay vigilante and be defensive. It's kinda like driving defensive drivershave a lesser chance of accidents, and you will have less of a chance of becoming a victim of an online scam. SEO for all types of businesses, nationwide.